This is yet another book that's been in the review pile for months: so long, in fact, I can't remember when I got it. 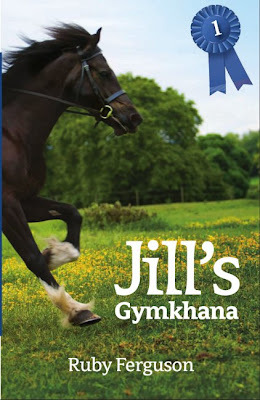 It's about a rescue horse: a Standardbred mare called Lay Me Down, and the woman who rescued her, Susan Richards. Lay Me Down was rescued when she and her companions were seized by their owner, who had neglected them so badly they were nearly at the point of starvation. At first, it wasn't even clear if Lay Me Down would survive, but she and her foal both did. The foal was reclaimed by the abusive owner, who had to sign all the foals over to his vet in lieu of fees, but Lay Me Down stayed. There have been mutterings for a while that jump racing would be banned in Victoria, Australia, and now it has been, from 2011. Read the story here. As far as I'm aware, there's no equivalent mutterings here. There are some things I disagree with very strongly in racing: breaking and racing two year olds, for one, and not giving any thought to what happens to the horses after their racing career is finished for another. This is of course evasion, and not at all actual rollkur, but I found it interesting to read of a horse doing something similar! My New Year's Resolution was to get through the to-be-reviewed pile more quickly, but nearly at the end of the year, I can tell you I have failed miserably. Gabriel's Horses I have had for well over a year; Gabriel's Journey much less long, thanks to the author, who kindly sent me a copy, but still quite long enough for it to be embarrassing. The non-recycleability of some of the packaging materials I use has been nagging at me for a while now. I've now decided there's not a lot of point my carefully composting, giving scraps to the hens and filling the council recycling bin when I'm contributing to the waste because of my use of padded envelopes and non recycleable bubblewrap. of every aspect of the Federation’s work as the international governing body for equestrian sport. According to Horse and Hound, the FEI are going to debate the Rollkur issue at their general assembly on 15th November in Copenhagen. A spokesman said "important developments will be announced as soon as possible." When you look at the FEI's dressage page, and see listed along the right hand side article after article on Anky and other Dutch dressage riders (Anky, the Olympic gold medallist, is very well known for being a Rollkur practitioner, as I believe are most of the Dutch team) it is immediately obvious what a tension there is here. On the one hand, the top echelons of the sport support rollkur, and are presumably lobbying very hard for the FEI not to change their stance; on the other there's a great deal of public attention being directed at a sport which has only just emerged out of the shadows and started to become popular. Horse and Hound have a poll going on on their front page at the moment. You will have to scroll down the page a bit to get there - it's on the left hand side, but if you want to tell H&H what you think, here's your chance. This book was originally published in 1996, but it’s been republished a couple of times since then and is still going strong. The latest reprint came out this year. The latest cover re-design is of the twinkle-twinkle-fairydust school. Goodness alone knows why. There’s nothing remotely fantastical about the story, so presumably this latest effort is to make the books appear fashionable and “new”. 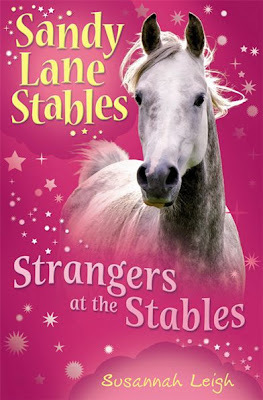 I don’t dislike the cover particularly (I love the grey Arab in fact) but I wonder if it wouldn’t confuse its public a bit: this is a straight down the line pony story and there’s not even the merest hint of a mysteriously fading sparkly hoofprint anywhere. I love these, particularly the Gaga one, and the Elvis unicorn is just brilliant. The artist presumably has a bit of a thing about Johnny Depp, as there's a pirate pony, and a dreadfully pathetic Edward Scissorhands. Book memories meme The following meme comes from the Ibooknet blog. A bit difficult, this. As with most people, I guess this would have to be a childhood book. The one I've had the longest would either by my extremely battered Winnie the Pooh paperback, or my slightly less battered but still not good Wind in the Willows, both of which were read to me by my mother. A book that reminds you of something specific in your life (a person, a place, a time). "One of life's greatest pleasures is a loose fitting shirt pulled overhead." I can think of a few circumstances where that might be the case, but frankly, in the general scheme of things, isn't your life a bit sad if putting on a shirt is your greatest pleasure in life? Charlotte Hough didn't illustrate many pony books, but she did do one cover of which I'm particularly fond: Margaret Stanley Wrench's The Rival Riding Schools. I love the impression you get of vivid life you get: I feel that I'm looking in on an intense bit of childhood secrecy, and I like the shaggy pony, standing there patiently while the humans get on with being odd. When I began to research Charlotte Hough, I turned up more than I'd bargained for. Until I read The Times’ Obituary, I had no idea that Charlotte Hough was the mother of the author Deborah Moggach, or that she had been involved in a celebrated case when she was accused of murder. Took daughter and friend out for a quick pizza after school. Sitting there looking at them, both 13 years old, with full make up on, I asked them if there was much of a queue for the loos to re-touch the paint. Oh yes, they said. There is, apparently, an informal system, where whole years go in at a time. Year 11, queens of the school as the sixth form presumably make up elsewhere, get first dibs at 12.15. Daughter, who is year 9 (12.30 is their appointed time at the mirrors) said she was in there leaning on the wall waiting for a friend, as the year 11s were there, leaning at the mirrors, re-touching, when a year 9 came in, and wiggled her way through to the mirrors to start wielding the mascara. As one, the year 11s stopped talking, and turned and looked at the year 9, who scuttled off. Once she'd gone, conversation, and re-touching, restarted. It's months since I took the camera out on the dogwalk, having been tramping round, buried in my own thoughts. I'm amazed at how much I've missed - though even I can't remain oblivious to the ploughing and harrowing, now thankfully over. Do not at all like traipsing over miles of plough, trying to aim for where I think the footpath might be. The rest of the village has the same problem: for the first few yards there's a solid path, but then it disintegrates into vague, half trodden meanderings as we have no fixed point to aim at. Now, thankfully, the farmer has put back the path (amazing what a quick sweep with the tractor will do). Another thing I managed not to miss was the sloes: I have some now lurking in the freezer, though goodness knows if my plans for them will actually happen. I have a tendency to mentally tick things off once they're in the freezer, meaning I have several boxes of very, very old fruit in there.